Season two of Binan Koukou Chikyuu Bouei-bu Love! Teenage boys are notoriously lazy, and the members of Binan High School's Earth Defense Club are no exception. Their definition of “earth defense” is bumming around all day at the local bathhouse. 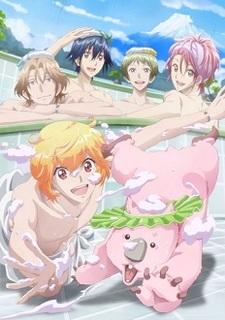 But when a pink wombat appears out of thin air and begs the boys to help him save the planet, even the idlest high schoolers jump to action. Watch the magical boys transform and save the earth with the power of LOVE! Episode 3 - Feel Love, Narcissus!